Panionium (Panionion) was an Ionian sanctuary dedicated to Poseidon Helikonios, and, at the same time, the Ionian League meeting place. This unusual site was located on the northern slopes of Mount Mykale (tr. Samsun Dağı or Dilek Dağı), opposite the island of Samos, about 100 km south of Smyrna (now Izmir). Mykale Massif forms Dilek Peninsula, which is a part of the Aegean Sea coast of Asia Minor. 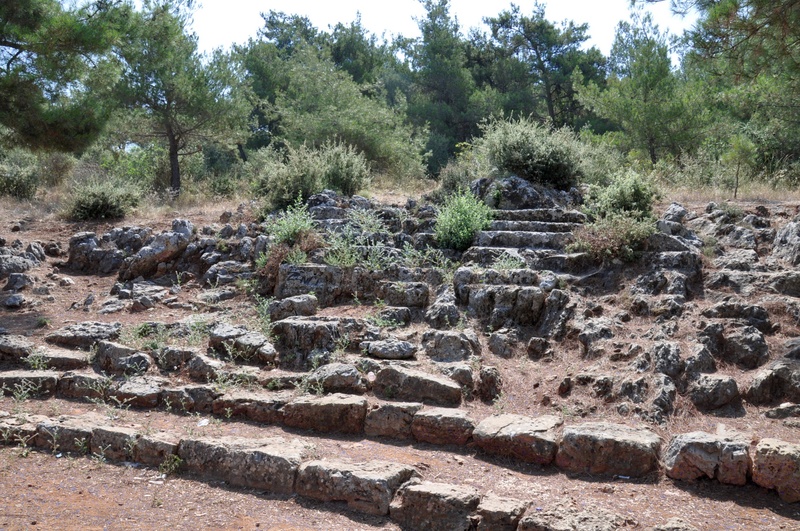 On the southern side of the mountain, the Ionian city of Priene was situated. 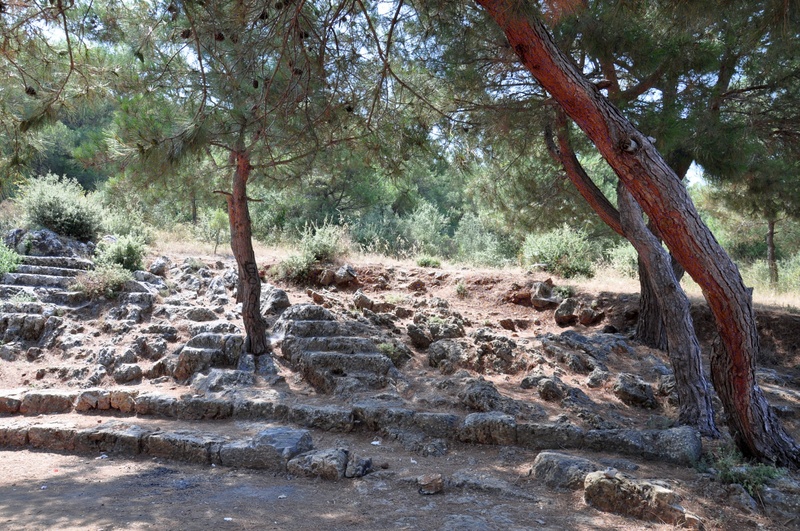 Its residents were responsible for the sanctuary of Panionium and for the organization of games (panegyris) called the Panionia. From the 11th century BC, the Asian coast of the Aegean Sea began to be settled by the Greek colonists. Upon arrival to the area, Ionic tribes encountered the local Carian population, which was regarded by them as barbarians. Carian religious practices were described in the Iliad, where Homer mentioned the worship of a deity known as Poseidon Helikonios. An important element of this cult was the sacrifice of bulls in a holy place called Melia. The preserved ruins of Melia indicate some of the buildings erected there were founded in the 7th century BC. The area of this sanctuary was surrounded by a 3-meter thick wall. In the mid-seventh century, BC Melia was destroyed during the wars fought between the Carians and the Greeks. As a result of these struggles Carian territories were divided among Ionian settlements. These settlements then formed the union of twelve major cities or Dodecapolis. The primary aim of this federation was the cooperation in the defense against the growing power of Persia in the east. The Carian cult of Poseidon Helikonios was adapted by the Greeks for their purposes. It became an important religious element, bonding Ionian cities together. The new temple was erected on the ruins of Melia about 540 BC, and its location became known as Panionium. 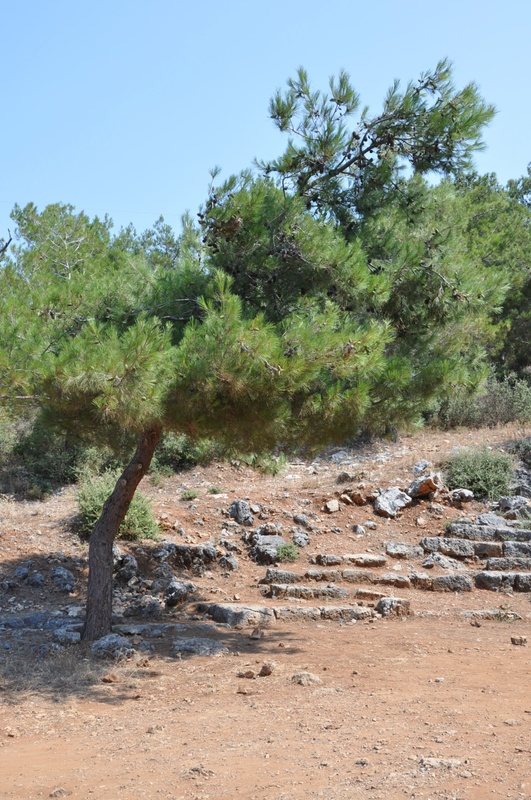 Every year, meetings were held at this site, gathering Ionian politicians. This annual event was combined with religious ceremonies and sports competitions. However, only 40 years after the erection of the temple it was burnt down, most likely during the war with the Persians. At the same time the most important Ionian colony - Miletus - was also destroyed. This completed the activity of the first Ionian League, and the religious worship at Panionium. On a smaller scale, the celebrations in honor of Poseidon Helikonios were revived in the 5th century BC in Ephesus. From the time of Asia Minor conquest by Alexander the Great, attempts were made to restore the former importance of the festival. The celebrations were transferred to a new location, in the vicinity of the present village Güzelçamlı. However, the state of the preserved ruins indicates that this new sanctuary was never finished. The location of original Panionium is currently the subject of a dispute among archeologists and historians. Since the late 19th century the ruins discovered by Theodore Wiegand in the area Guezelcamli have been considered to be the Panionium. This site is situated on a low hill called Otomatik Tepe i.e. the Hill of Machine Guns. The identification of this site with Panionium was based on the remains of ancient buildings as well as on the basis of inscriptions discovered in the vicinity. Additionally, this location was confirmed by the compliance with the descriptions of classical authors - Herodotus and Strabo. The archeological excavations on Otomatik Tepe were conducted in 1958, by a team led by Gerhard Kleiner, Peter Hommel, and Wolfgang Müller-Wiener. However, the site on Otomatik Tepe has aroused many doubts among scholars. These doubts concerned firstly the modest size of the sanctuary, where the representatives of the powerful Confederation of Ionian cities in Asia Minor met. On the other hand, many researchers noted the absence of any traces from Carian and Archaic times. In 2004, German archeologist Hans Lohmann conducted the reconnaissance in the area of Dilek Peninsula. There, high in the mountains, he discovered a site consisting of the traces of Carian settlement from the 7th century BC and an archaic temple in the Ionic order. This site is situated at an altitude of 750 meters above sea level. In 2005, Lohmann started archeological work in the area, conducted in collaboration with the Museum of Aydın. Lohmann claims that he discovered the place is the original Panionium, and, at the same time, the ruins of the Carian settlement of Melia. Both the dating of the temple and the location and size of the village, seem to confirm his theory. Actually, there is no reason to cast doubts on any of these locations as the proper Panionium. 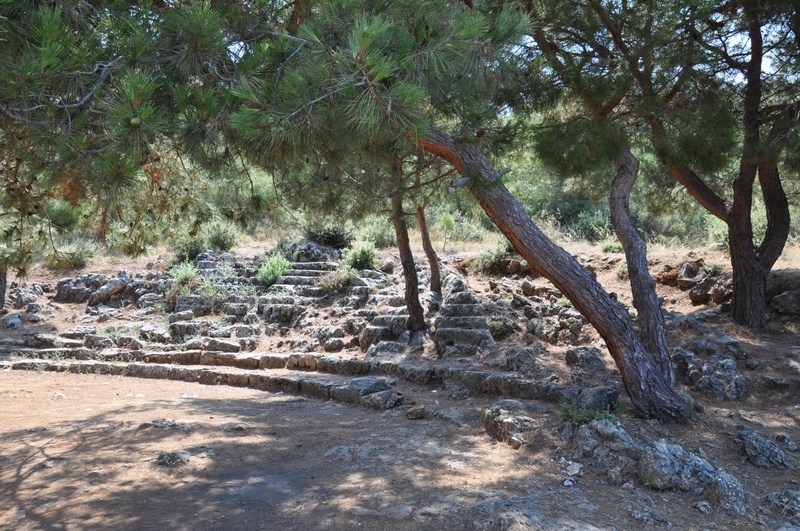 It seems likely that the celebrations in honor of Poseidon took place near the top of Mykale Mountian in Archaic times, and once they are resumed in the 4th century BC they could be held in the modest location near Güzelçamlı. The ruins on Otomatik Tepe hill consist of so-called temenos (a sacred area dedicated to the deity), designated by partially preserved walls, with an entrance on the western side. 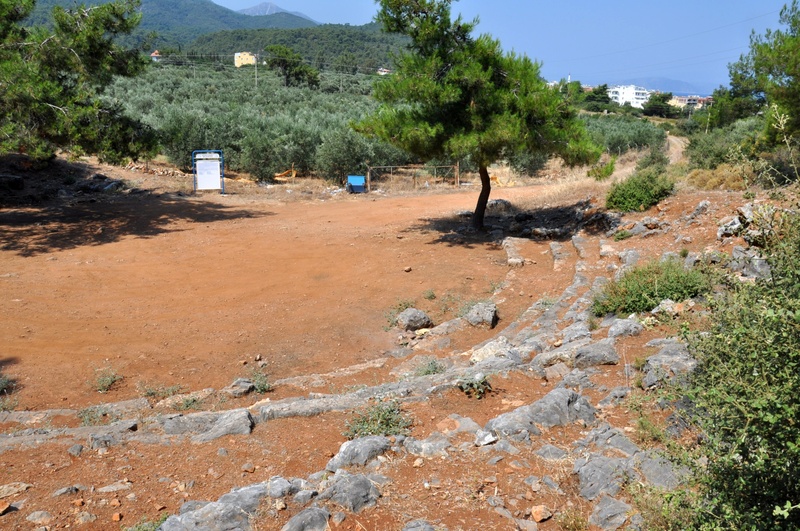 In the middle of the area, a stone foundation has been found, considered to be the place where the altar of Poseidon once stood. 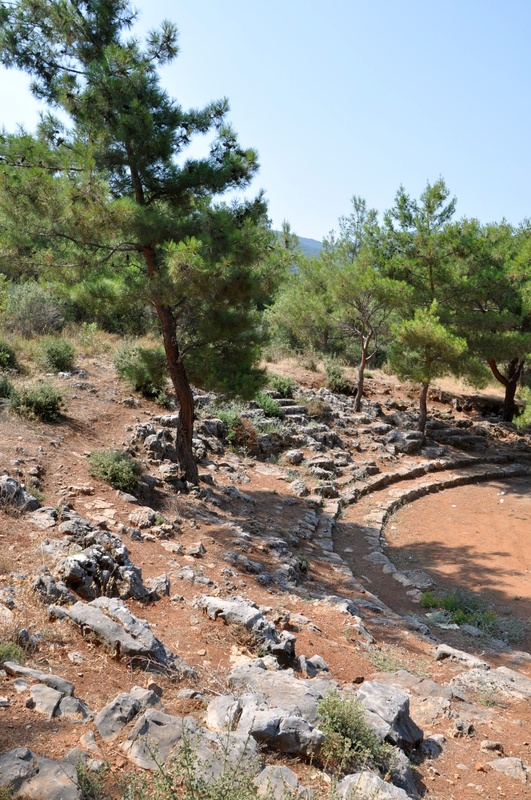 At the foot of the hill, 50 meters to the southwest of the altar, there is a small theater, with a diameter of 32 meters. It consists of 11 rows of seats carved into the rock. 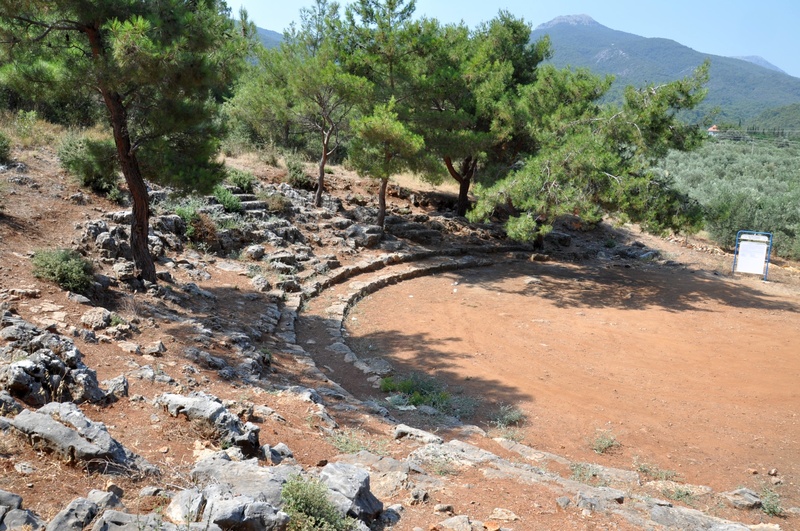 It is assumed that this theater could serve as a meeting place for representatives of the Ionian League. 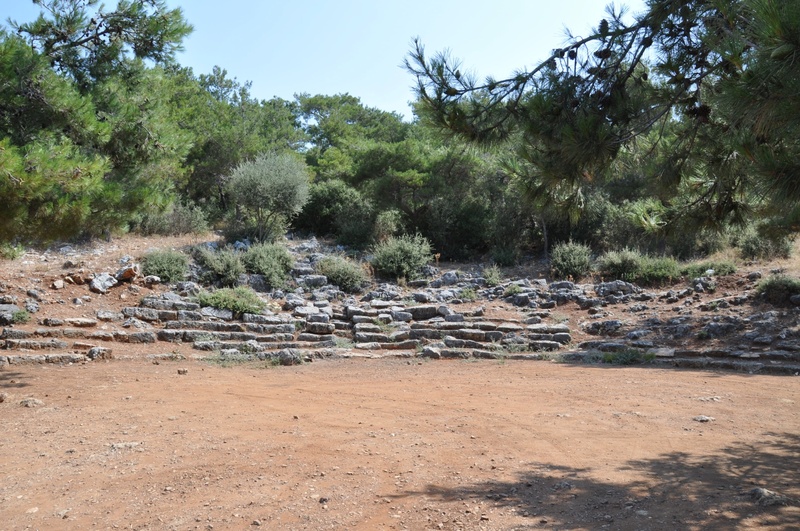 The theater has been dated to the 4th century BC, i.e. during an attempt to restore the splendor of the festival. The location of Panionium ruins given here refers to the site on Otomatik Tepe hill. Admission to the grounds is free of charge, and the ruins are not fenced off. 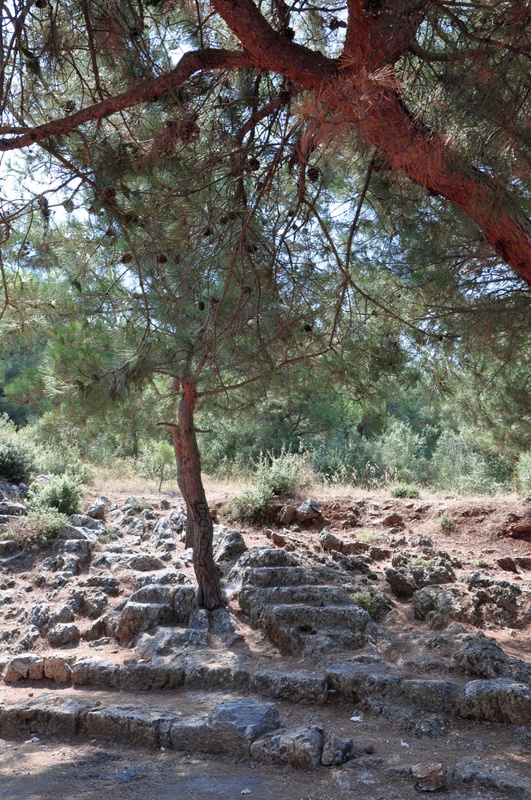 Panionium ruins are located in the area of Güzelçamlı, on the left side of the main road from the Kuşadası. Unfortunately, the brown signpost indicating the proper turn-off is visible only for people coming from the opposite direction, from the Dilek Peninsula. 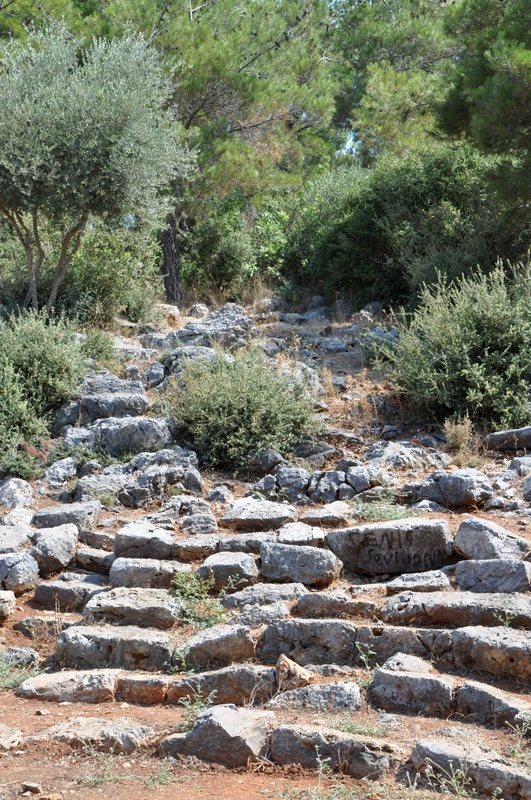 The best idea is to walk the last stretch (200 meters) from the main road to the ruins of Panionium, because of the poor condition of the road. By minibus: there are regular minibuses from Kuşadası to Güzelçamlı. By car: from Kuşadası take the road to the south along the coast, through Soğucak and Davutlar, to Dilek Peninsula-Büyük Menderes Delta National Park. The distance to Panionium from Kuşadası is 23 km.